Birthplace : Atlanta, Georgia, U.S.
Jordan Craig Hill is an American professional basketball player for the Los Angeles Lakers of the National Basketball Association. He was drafted 8th overall in the 2009 NBA Draft by the New York Knicks. He played college basketball for the University of Arizona Wildcats. His cousin Trevor Booker plays for the Washington Wizards. When Hill entered the 2009 NBA Draft, many had him high up on the draft board, possibly a top 5 pick in the draft. As draft night went on and Stephen Curry was taken by Golden State, it left New York to pick Jordan Hill. 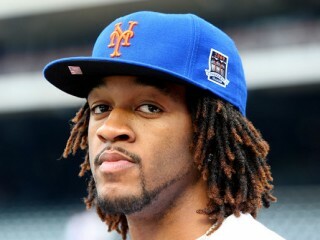 Hill was drafted as the 8th overall pick in the 2009 NBA Draft by the New York Knicks. Hill will earn about $4.3 million over the next two seasons. Hill played five games in the NBA Summer League, where averaged 14.4 ppg, 8.2 rebounds, 0.6 assists, 0.8 steals and 1.0 block. His highest score was 21 points against the Washington Wizards. Hill scored his first regular season points for the Knicks against the Cleveland Cavaliers on November 6, 2009. On the trading deadline on February 18, 2010, Hill was traded along with Jared Jeffries to the Houston Rockets as part of a three-team deal that included Sacramento that saw the Rockets' Tracy McGrady go to the New York Knicks. Again on the trade deadline, on March 15, 2012, Hill was traded to the Los Angeles Lakers for point guard Derek Fisher and a 2012 first-round pick. View the full website biography of Jordan Hill (basketball).